I’m buying a Mac. People that know me would never expect to hear these words coming out of my mouth, or in this case, being produced by a combination of keystrokes originating from my hands. I’m going to explain why I’m buying a Mac, but first a bit of my history with Macs. My mom was an elementary school teacher, and for a while she was the technology coordinator for her school district. Back in those days, all schools used Macs, or Macintoshes as I am used to calling them. Since she was the tech coordinator, we always had Macs around the house. I literally cannot remember a time in my life when we did not have computers in our house. While it certainly wasn’t true for everyone, my generation is the first to have people growing up immersed in computer technology. Most kids born in the United States these days will grow up not knowing life without computers. The first computer we had that I can remember was an Apple Macintosh Classic II. Later on we had an LC-580 when everyone else still had the LC-520, so we were the cool people with the advanced technology. That computer was the first computer that was “mine” once my parents got a Power Macintosh G3. The LC-580 had a 512 MB hard drive, so when we got the G3 with a 2 GB hard drive, it was the greatest thing ever. This G3 wasn’t one of the pretty ones with the transparent case, it was the old style beige case. It was what they call “Outrigger” style. Late in elementary school and during middle school, we had Macs and all my nerd friends were using Windows 95 and Windows 98. These nerds treated me really badly for being a Mac user, as though I had some control of what computers my parents bought at age 11. The hilarious irony is that now all those same nerds are using Macs. The main thing that always frustrated me about having Macs was that there were very few games I was interested in playing. All the good stuff was made for PCs, although I was an ace at Super Munchers. When Windows XP came out, my parents finally switched over to PC by ordering the most low-spec Dell available, and that same computer is still running today, albeit slowly. It was a bit of an adjustment process for my mom, but my dad had no trouble since they were using Windows PCs at his work. I had picked up some Windows experience in middle school, so I took to it pretty well too. I inherited the G3, and kept using it even into high school, although it was super out of date by the time we sold it. The last time I owned and regularly used a Mac was back during OS 8. I am probably perceived as a “Mac hater,” when really I am probably more of a “Mac culture” skeptic. I don’t like the way people buy Macs to be cool. I don’t like the fact that Apple is a marketing company that sells computers. I’m not a hipster or a musician or a person that wants his computer to “just work.” I like my computer to challenge me to expand my understanding of how computers work and what computers have the potential to do. I’m definitely an elitist snob when it comes to computers, but not in the same way Mac users can tend to be. I’ve used Macs several times during college, mainly to print things since the school’s page tracking software didn’t work on the Macs. Despite the annoying userbase, Macs are just the slickest thing out there right now. I already run Linux as my primary OS, and I also have XP, Vista Business, and 7 Professional. It only makes sense for me to expand my computer knowledge by adding Mac to my repertoire. I want to get it now, because I’m not convinced that 10.7’s iPad-like interface is going to be that great. I haven’t decided yet whether or not to get the 13 in or 15 in model. I like the size of the 13 in, but I like the i5 processor of the 15 in better than the Core 2 Duo in the 13 in. I’m planning to use either Parallels, Boot Camp, or some other solution to run Windows 7 Professional and some Linux distribution (probably Fedora or Linux Mint Debian Edition) in addition to OS X. I’m not planning to buy any of the extra software that they sell on the Apple website. I’m going to run Libre Office or OpenOffice.org, install Gimp and Scribus, and other FOSS to get my needs met. Really, if could just buy the Mac hardware without the OS, I would still choose it over most of the PC offerings out there right now. So, Mac using friends, what else do I need to know before I order this beast? What software do I need that I haven’t thought of yet? Should I use Parallels, Boot Camp, or something else for my multi-boot setup? Let me know. I just got a new 13” macbook pro and love it! I had a 13 in white macbook and just made an upgrade. I’ve used parallels but stopped because I didn’t have a big enough harddrive on my last mac (80 gb) and I was running out of space. I liked parallels because you could run each OS at the same time. That might be possible with boot camp, but the last time I tried, you had to boot each OS separately. I’m leaning strongly toward the 13 in because I like the size. Whatever I end up choosing, I’m going to be going with a 500 GB hard drive so that I mostly don’t have to worry about running out of space, although I’ve got more than 500 gb of stuff on my desktop. My understanding of boot camp is exactly what you said, that you have to boot each OS separately. I’m not sure if that bothers me or not. I wonder if Parallels essentially runs each alternative OS as a virtual machine since you can switch back and forth so seamlessly. If that’s the case, then you’re not going to be able to use all your system resources on the alternative OS, which might make a difference on a Windows 7 setup since Windows is a resource hog. More research is required. I think you are buying it for the right reasons. I think you’ll love your new machine. I bought the 13″ aluminum macbook about 18 months ago, and I love it. There was a bit of a learning curve, but I can’t see myself going back to a MS-based PC product anytime soon. In my estimation, the only redeeming quality of using an MS-based machine is that it teaches you to fix the myriad problems that pop up. 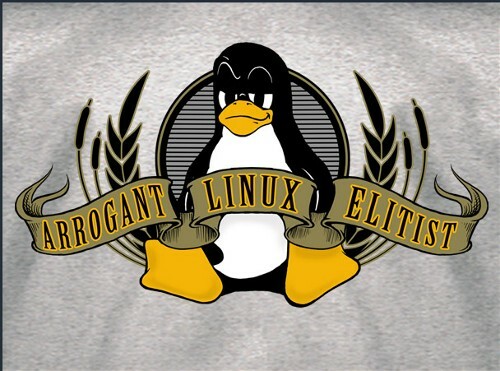 I know you were (and are) a Linux user, so I’m not directing that to you. Enjoy your new expensive hunk of aluminum. It’s worth it. And good job with the blog man. Keep it up! Yeah, I use Linux 95% of the time now. I have almost no interest in any sort of Windows product, and if I were to buy a Windows-based PC, I would barely ever use the Windows setup on it. Part of the reason I’m going with Mac is that I haven’t owned one in many years, and I want to expand the breadth of my computer knowledge base. I still plan to mostly use Linux, but I want some slick looking hardware and no-compromises performance, and I just can’t find that in the Windows PC market. I’m eager to get it ordered and start using it. If a couple things line up financially here in the next week or so, I should be enjoying it by the start of the new year. If you want to drop any Mac knowledge on me, I’m eager to hear it. Thanks for commenting. Didn’t you teach your fourth grade teacher how to use a Mac? Personally, I have always loved using the Mac, especially ClarisWorks Draw. I am sure ti is much different than when I last used it. I will be anxious to read about how you like it after you have used it for about a month.